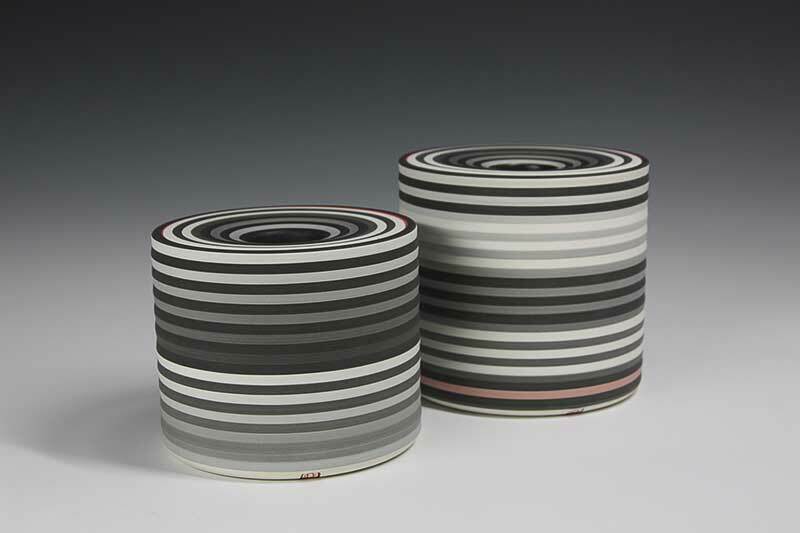 I work in stoneware and each piece is hand-built, predominantly coiled. My pots play with ideas of lightness of form where the traditional notion of pot 'belly' is often replaced with that of 'corset'. The challenge to achieve an apparent moment of weightlessness - a pirouette in clay - is what continues to drive my making. My studio is in a newly converted stable block just South of Sherborne, Dorset. 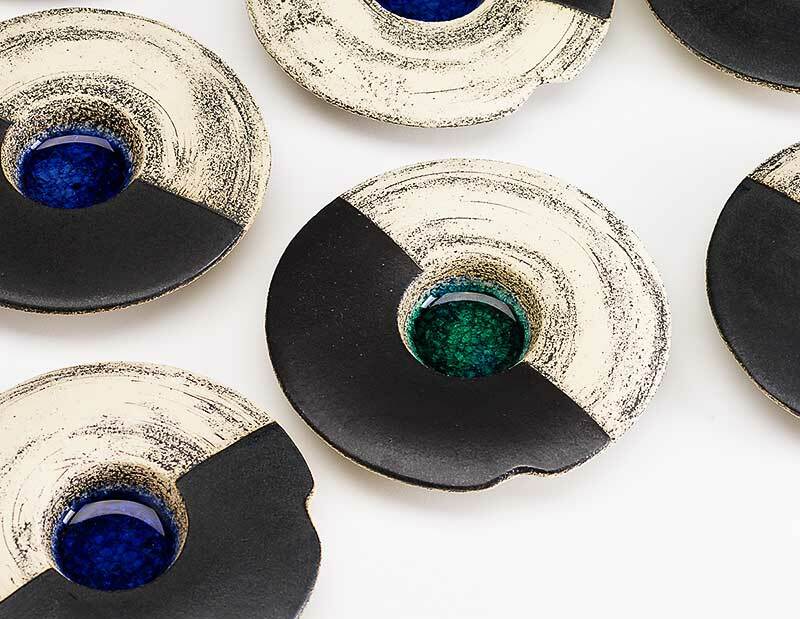 I studied ceramics at Cheltenham College of Art, and have been working with my wife Jude in our studio in the Cotswolds since 1973. 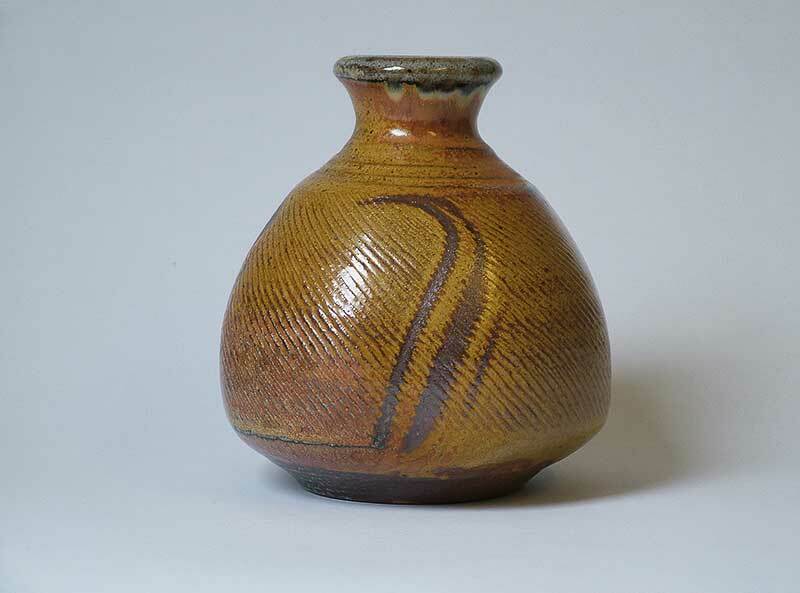 From my first exposure to studio pottery I was excited by the strength and quietness of the work of the late Bernard Leach and his Japanese potter friend Shoji Hamada. Such pots remain my inspiration. 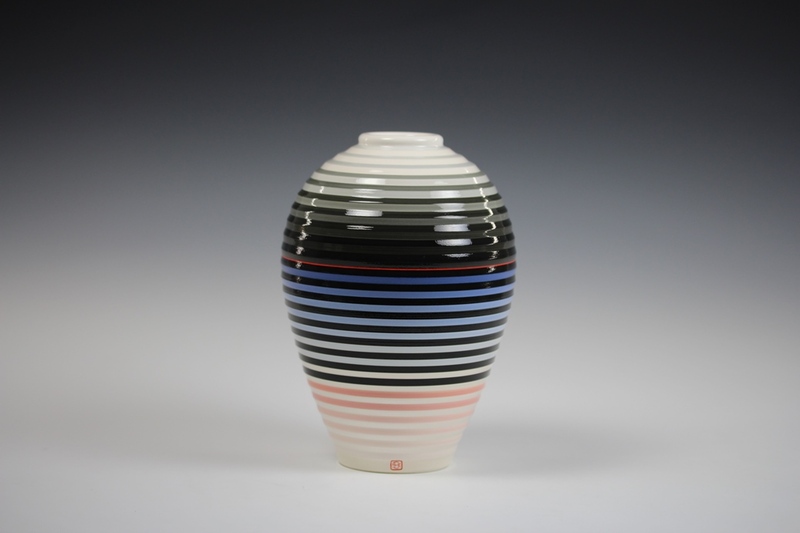 My work is all hand-thrown from a blend of West-country clays, and pots are often altered while still soft on the wheel. 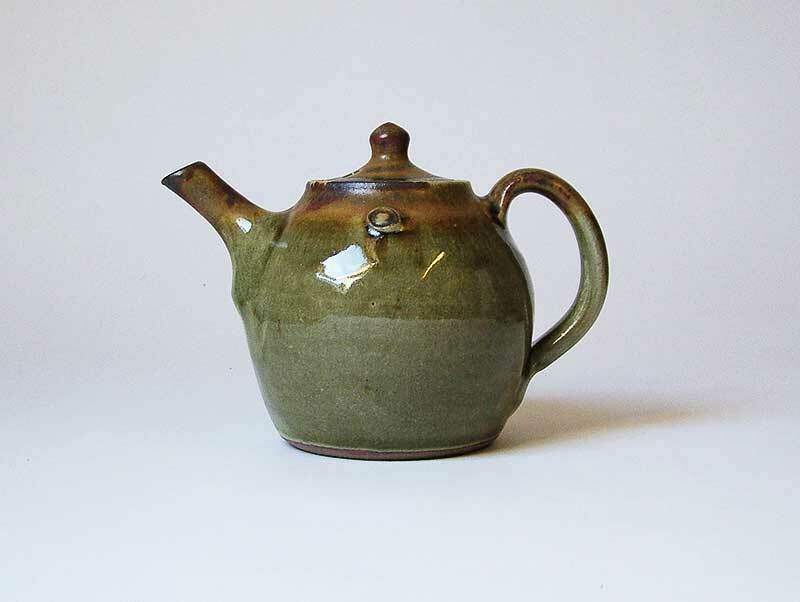 I use locally sourced ingredients in my glazes – woodash, local stone and clays. 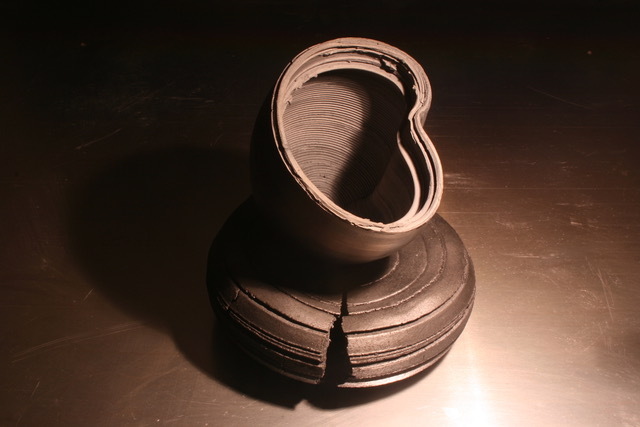 I fire using reduction stoneware methods as well as soda glazing to 1300˚C. My work has been exhibited at leading galleries in the UK and abroad. 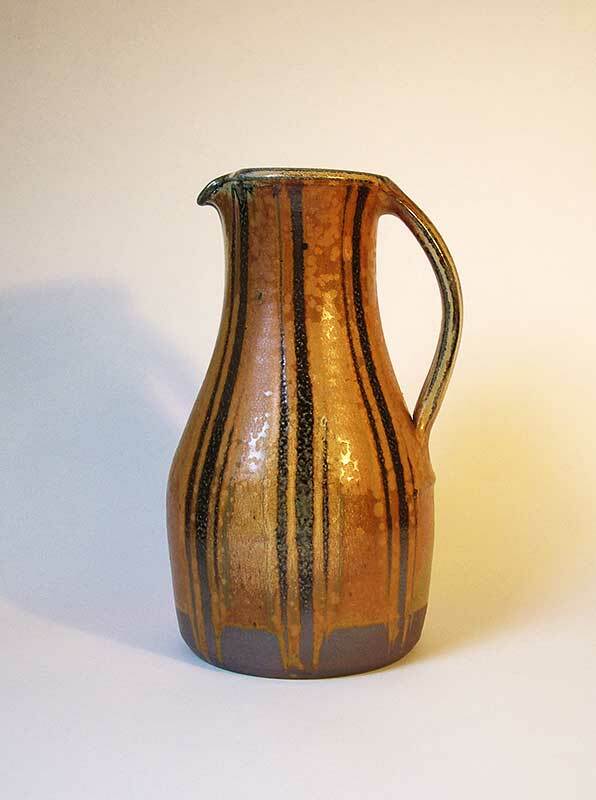 I studied Fine Art and became a potter when I married one (John Jelfs). Over time I have gradually returned to my roots combining pottery with painting and sculpture. 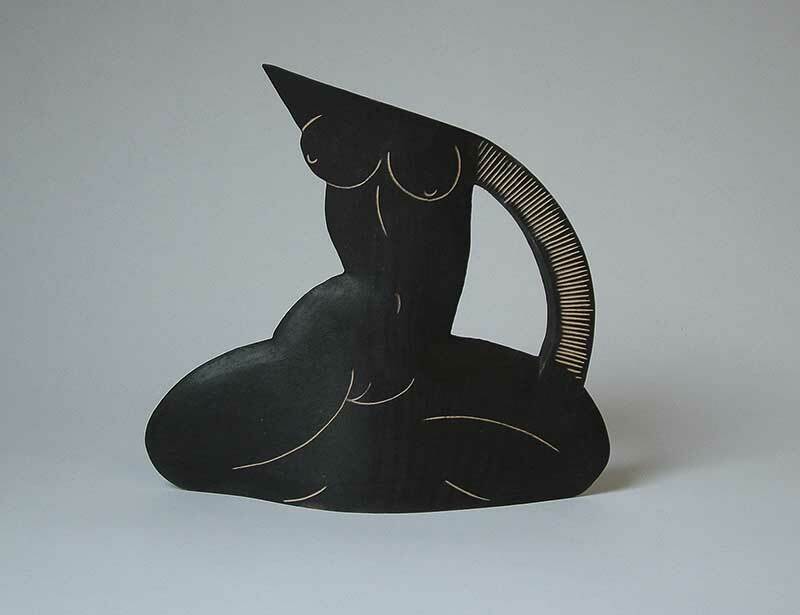 My current work is all drawing-based with a strong figurative theme - ceramics which combine painting and sculpture with pottery. 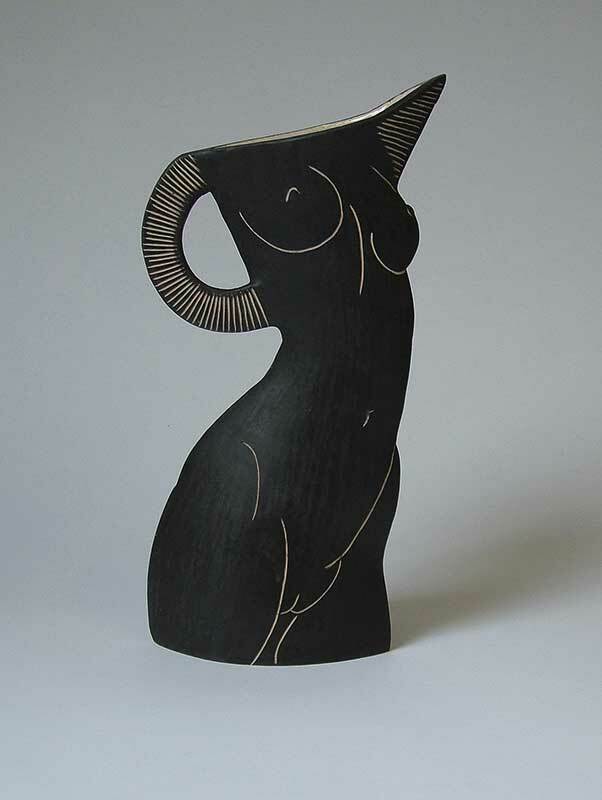 I work in earthenware, porcelain and also bronze. 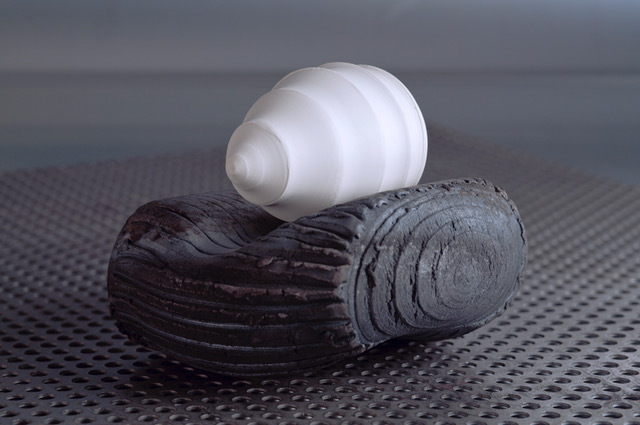 My work explores how the perception of three-dimensional ceramic forms can be manipulated by the applications of tonal bands (18 different tones from light as white to dark as charcoal black) on their surfaces. 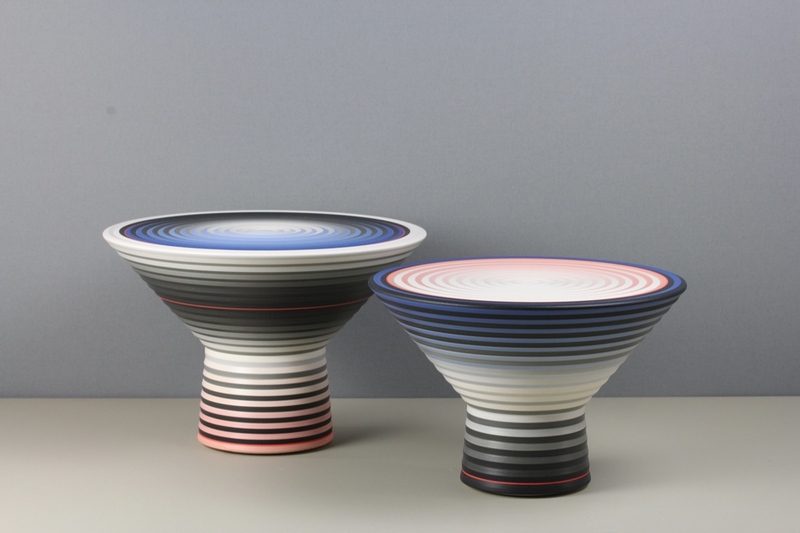 Depending on the arrangement, using gradients of width, interval or tone, illusory spatial phenomena can appear and thus significantly influence the actual three-dimensional forms. The duration of viewer’s attention, viewer’s position, tone or colour of the background are also crucial influencing factors for the creation of such illusions. My works attract viewers by visual phenomena as well as physical confusions appearing on their surface. I work in between the concepts of illusion and reality. I restrict or remove data (information) on the surface to increase the chance of the viewer’s perception shifting between illusion and reality. I often look at my work with half closed eyes, in the darker light and with distance which provides less information of reality enabling me to see the illusion. I create the majority of my works by wheel-throwing and applying the engobes onto the bisque fired surface by brushing. The eighteen tones are made by adding black stain into the basic engobe. 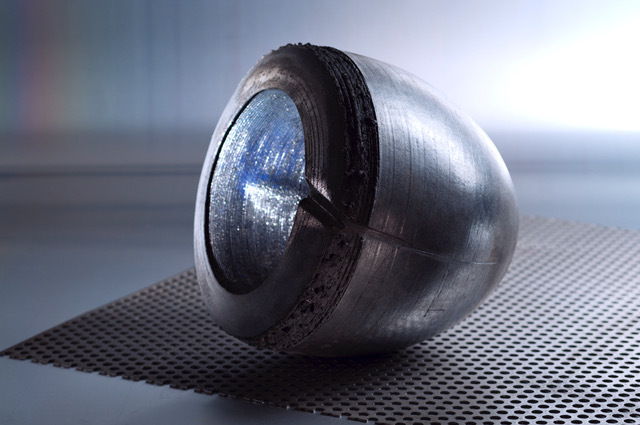 To get the variation of tones increasing gradually in tone, the firing temperature has been set at 1120ºC through experiments. Each of the engobes was ball milled to finely grind the combination of clay, stain and flux in water in order to eliminate the appearance of speckles and to obtain the fine quality of the surface. Having been unable to work properly for four years, I am currently ‘making' with porcelain clay having come relatively late to realising it's wonderful qualities. I am exploring the fluidity of the medium when working with rolled slabs of clay that are relatively ‘wet’, and enjoy the ’sculptural' possibilities this offers. I fire in an electric kiln to 1250. 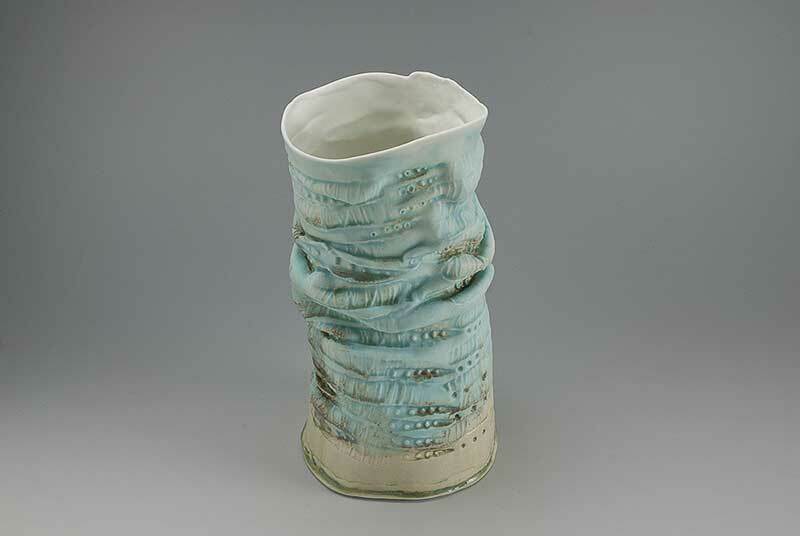 I am currently exploring the ways in which I can make objects that can communicate to the collector / owner, by using a variety of clays and firings. 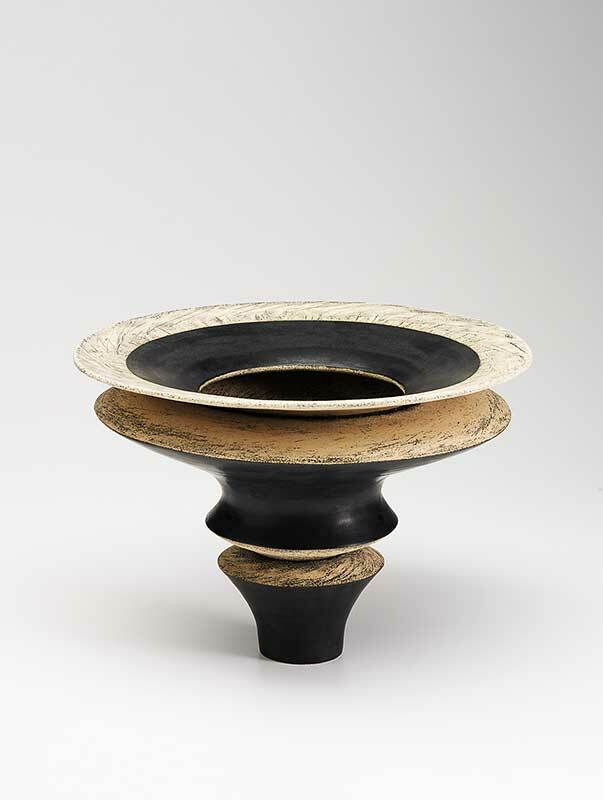 This work developed from an investigation into the nature of ritual ceramic objects as carriers of meaning. 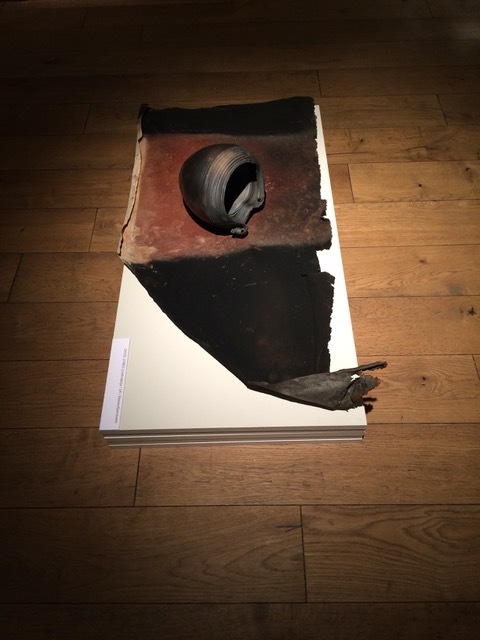 My recent PhD (awarded by Manchester Metropolitan University) afforded time to reflect on the ways in which I could further use my language of clay and firing to explore issues of identity – and in particular to interrogate my own notion of self. 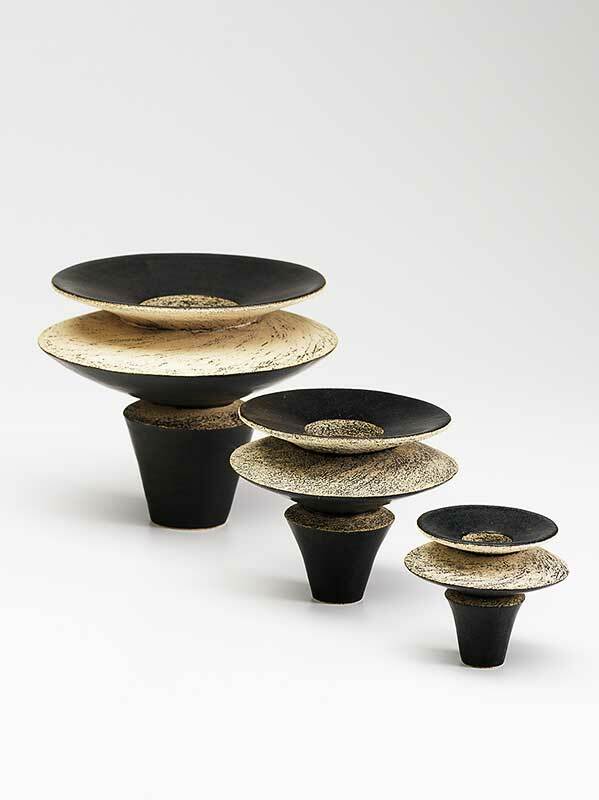 I have been elected to the Governing Council of the International Academy of Ceramics, to represent the UK, Ireland and Benelux. 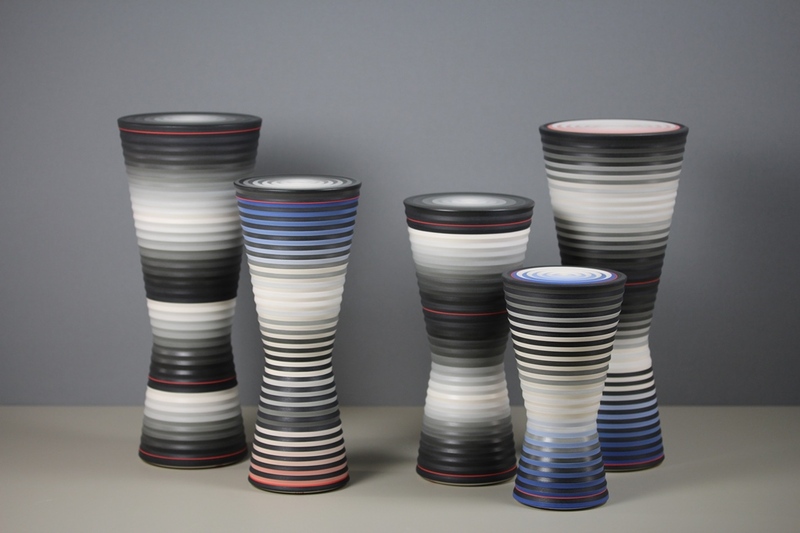 I taught Ceramics at the University of Wolverhampton for thirty years. 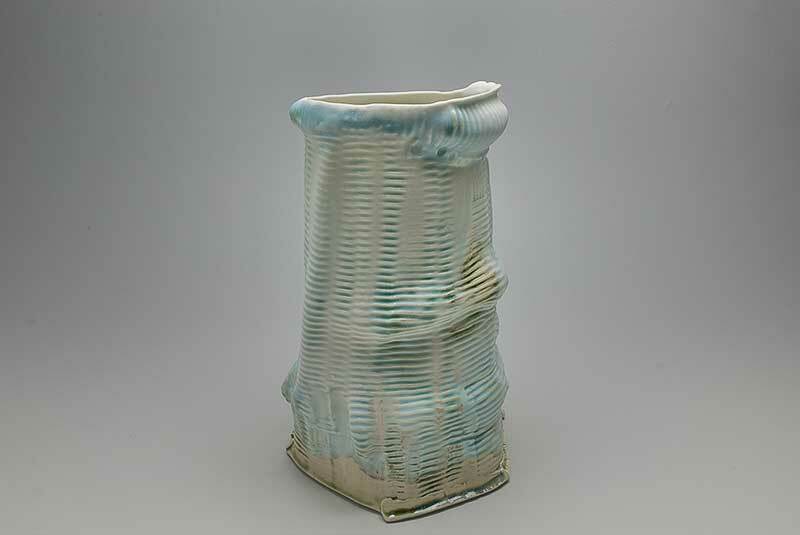 I am the author of two books that examine the ideas underpinning ceramic firing: Raku, Investigations into Fire (1999). 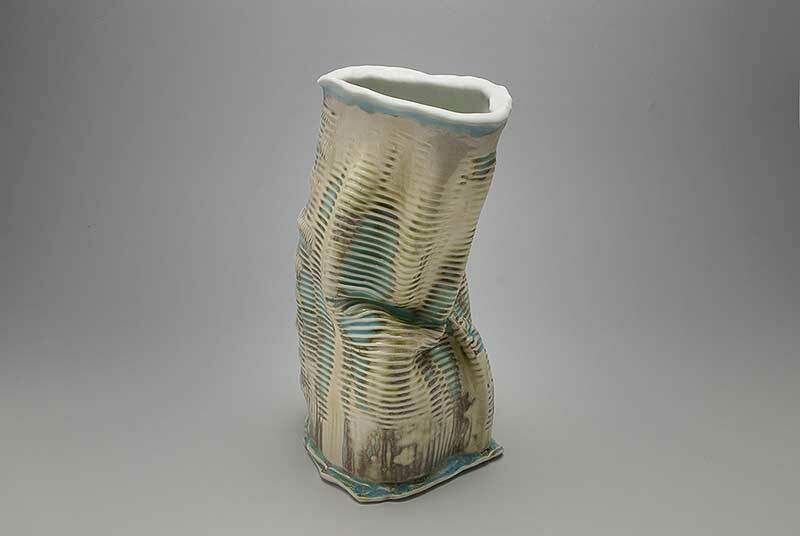 Firing – Philosophies within contemporary ceramic practice (2007).